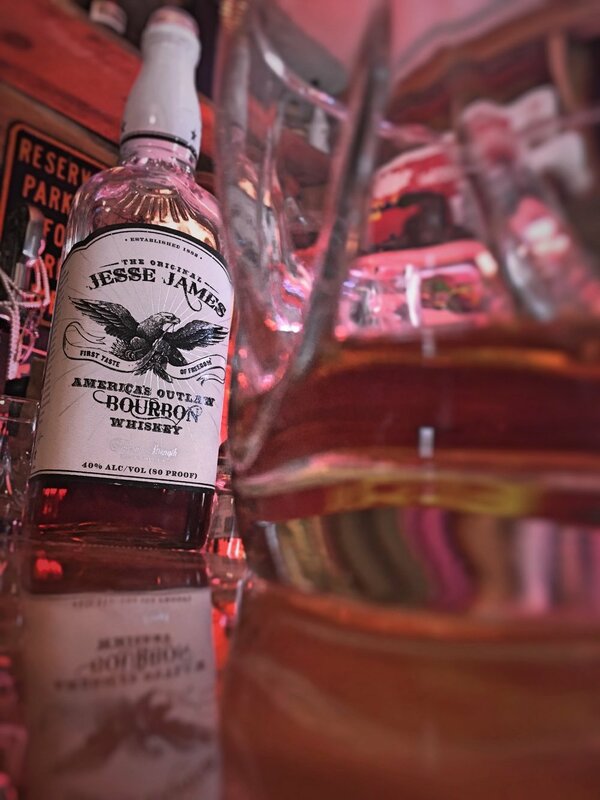 For the outlaw in all of us, the Original Jesse James Bourbon Whiskey is old-time charcoal mellowed, aged in oak casks for a minimum of 36 months, and full of smooth and robust bourbon character. 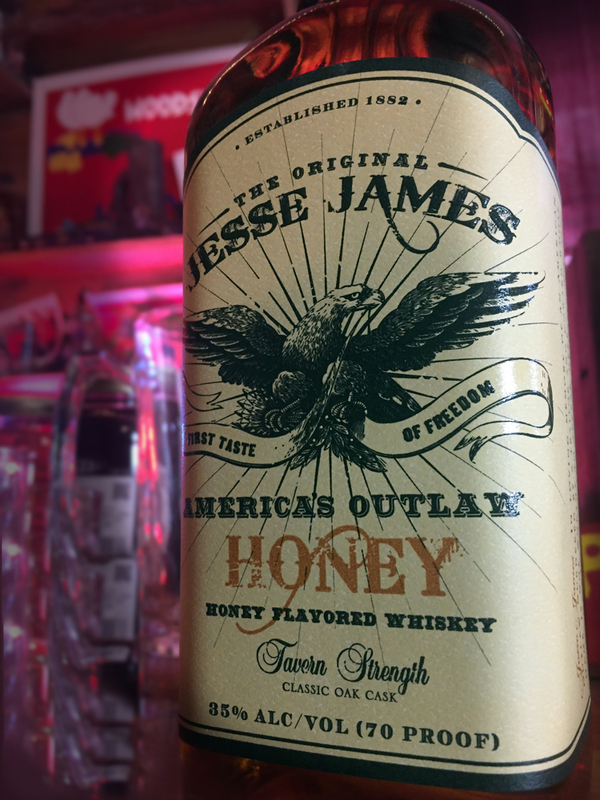 Made with the Original Jesse James Straight Bourbon Whiskey, our Honey recipe is flavored with a touch of natural honey. Great chilled or on the rocks. Method: Build over ice in a highball glass. Garnish with w lime wedge on rim. Brimming with the same great character that comes from the charcoal mellowing and oak cask aging of our Original, the Spiced Bourbon recipe boasts hints of vanilla, cinnamon and clove. Muddle the sugar, bitters, orange and cherries with a splash of soda. Add Outlaw Spiced Bourbon. Top with soda and garnish. Distilled in Trimble Tennessee from local corn, aged in CHAR 4 oak barrels and “Locomotive Agitated” by the daily passing trains. Taste the char from the barrel, the sugars from the wood and the local west Tennessee corn all masterfully blended.